It’s as if Disney designed the most magical zoo you could imagine. Disney’s Animal Kingdom park is dedicated to conservation, animal care, education, and research. The park is home to more than 1,700 animals across 250 species. Walk through tropical rainforests, savannahs, and back in time to the land of the dinosaurs, in a world alive with lush vegetation, broadway class shows, a roller coaster, and a 20-minute safari. It’s unlike any other Disney Park. All along the way, cast members greet you with a smile and the word “Jambo,” which means hello in the African language of Swahili. 1. Oasis – This is where the real world transforms into Disney’s Animal Kingdom. Wind around the shaded trails and listen to the little streams of flowing water. Take a moment to admire the plant life, stop at the viewing areas, and snap photos of the interesting animals. You may not even notice them if you’re in a hurry. 2. 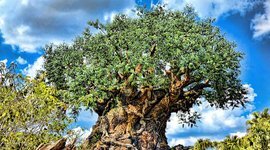 Discovery Island – Discovery Island is famous for the Tree of Life. It’s the central hub of Disney’s Animal Kingdom, much like Cinderella’s Castle in Magic Kingdom. Here you’ll find Discovery Island Trails and It’s Tough to Be a Bug, two great Animal Kingdom attractions. 3. 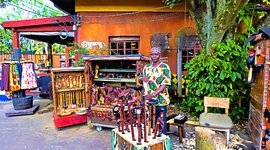 Africa – Across the bridge from Discovery Island you journey into the African village of Harambe. Animal Kingdom’s Africa is home to Kilimanjaro Safari, an incredible ride through the African Savannah where you’ll see lions, zebras, giraffes, and more, in a real Jeep, without tracks. 4. Rafiki’s Planet Watch – Take a ride on the Wildlife Express Train to visit Rafiki’s Planet Watch. Here you’ll get an idea of how the animals are kept healthy and happy at Disney’s Animal Kingdom. 5. 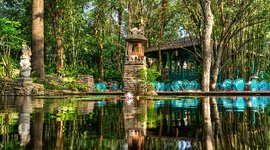 Asia – Taking inspiration from the countries of Nepal, India, Thailand, and Indonesia – theming in Asia is both beautiful and exotic. You can walk through the mythical Kingdom of Anandapur, complete with temples, crumbing ruins, and the maharaja’s ancient palace. 6. DinoLand U.S.A. – Head back to the time when prehistoric dinosaurs roamed the Earth. While you’re here you can also check out the heavily themed carnival area and a tacky, wacky souvenir shop. 1. Kilimanjaro Safaris: Africa – Board a vehicle that looks much like a large Jeep, while your driver and guide teaches you all about the animals around you. There are no tracks on your vehicle and these animals are very real, so at times you may have to stop and wait for them to clear the path before you can continue on your journey. 2. Finding Nemo: The Musical: Asia – Nemo has a Broadway-quality show inside a fantastic air-conditioned theater. The performers sing along with giant puppet-type versions of all of your favorite characters from this Pixar movie. 3. It’s Tough to Be a Bug: Discovery Island – Walk inside the Tree of Life and shrink down to the size of a bug in this amazing 3D show. Flik and a host of other bugs are there. Even though it’s a hit with most kids, the show may be a little dark and scary for small children. 4. Expedition Everest: Asia – Everest starts off like most roller coasters, but finishes with drops and backwards motion. In addition to a fun ride, you get to see the Yeti! This one is great for coaster lovers, but might be too intense for young children. 5. Festival of the Lion King: Africa – This Broadway-quality show is a live celebration with song, dance, acrobats, stilt walkers, and a theatre performance. All the best songs from the Lion King are there, and it’s a great show for just about everyone in the family. 6. Wildlife Express Train: Rafiki’s Planet Watch – Steam ahead aboard the Wildlife Express Train for a 7-minute journey from the heart of Africa to Rafiki’s Planet Watch. Upon arrival, you’ll get an up-close look at how the animals are cared for and take part in educational activities involving animal conservation. It’s fun to see elephants, rhinos, and other creatures along the way. 7. Dinosaur: Dinoland U.S.A – Dinosaur combines a track ride and motion simulator to transport you back in time to fetch a living dinosaur before the species becomes extinct. This Animal Kingdom ride features nonstop action and brilliant visual effects from beginning to end. However the carnivorous predators in darkness may make it too intense for younger children. 1. Rainforest Cafe – Rainforest Cafe is right before the entrance to the park. The ambiance is like something out of the middle of a rainforest. 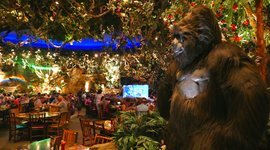 They serve up a large selection of menu items, and it’s not uncommon to see guests enjoying Cobb salad, pasta, or even a cotton candy martini between the simulated thunderstorms of the forest. 2. 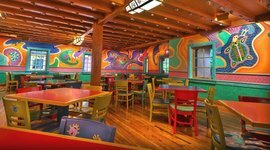 Tusker House – This is your character dining option at Animal Kingdom, which means it’s extremely popular. You’ll want to book your reservation 180 days in advance. It’s a large buffet with lots of good food for breakfast, lunch, and dinner. Mingle and pose for photos with Donald, Mickey, and some of your favorite friends during breakfast and lunch hours. 3. Pizzafari – Dining in this especially beautiful quick-service location is a lot of fun. The paintings and murals on the walls are stunning, and add a lot to the feeling and mood. Caesar salads, Italian sandwiches, and of course the pizza, are all crowd favorites. Portions are generous and there’s lots of indoor seating. Head to the rooms in the back for a quieter dining experience. 4. Flame Tree Barbecue – Flame Tree Barbecue serves up pork sandwiches, smoked chicken, ribs, and more. The food here is really good. There are also several outdoor tables, located down a path where you can find seating overlooking the water. There’s no better way to enjoy a nice lunch at Animal Kingdom. 1. Secret Entrance – If you find a long line at the entrance to Animal Kingdom, try going through the Rainforest Cafe. There's a secret park entrance at the back of the gift shop. 2. 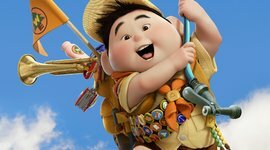 Wilderness Explorers – There’s an interactive game based on Russell’s Boy Scout-esque troop from the movie Up. During this game, you’ll travel around the park to complete activities and earn stickers. Register as you walk in at the Oasis section. Here they’ll give you a map and instructions to show you the park location where each task is located. 3. Beastly Kingdom – Look closely at the signs for Animal Kingdom, and you’ll see a dragon among the animals on the bottom. This dragon represents "Beastly Kingdom," a land of the park with mythical creatures that was planned but never developed. There’s a Unicorn section of the parking lot and other evidence of “Beastly Kingdom” that you’ll notice if you look close enough. 4. 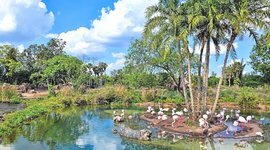 Kilimanjaro Safaris Secrets – You can see different animals at different times of the day, which makes this attraction fun to ride multiple times, even on one day. 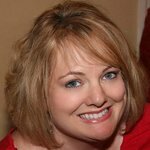 Your morning experience could be much different from your afternoon experience. The rocks in the water under the bridge are made to look like animals. Keep an eye out for one shaped like an elephant and another like an alligator. Also, the pond where all the flamingos hang out is shaped like Mickey! 5. Tree of Life – There are approx 320 animals carved into the Tree of Life. During construction, Michael Eisner invited Jane Goodall into the park, in particular to see the Tree of Life. Much to his embarrassment, she pointed out that they’d forgotten to include a chimpanzee. Eisner told Miss Goodall to pick a place on the tree and one would be sculpted. She chose the entrance outside of It’s Tough to Be a Bug! so everyone would be able to see David Greybeard, the first chimp she ever observed. You’ll notice he’s more detailed than the other animals and multicolored. 6. 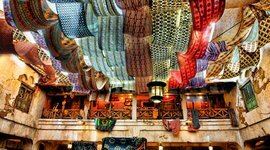 Asia – There are authentic prayer trees draped with new and faded scarves to commemorate loved ones who have passed on. Look for these in the mythical land of Anandapur. It's like dining in the middle of a rainforest. The food is classic American with burgers, steak, and club sandwiches. Kids will love the concept of the breakfast pizza, which comes topped with eggs, bacon, and cheese. Open for lunch and dinner too, it's pizza any time! Talented performers re-enact scenes from Finding Nemo with giant puppets. It's an entertaining and air-conditioned break from the heat. This Broadway-style show uses singing, dancing, and acrobatics to bring the story of The Lion King to life. Book ahead of time to meet Donald, Mickey, and more at this very popular breakfast and lunch restaurant.